Many types of commercial real estate require a decent amount of management. If you decide to manage the property yourself, you’ll end up spending a fair amount of time handling tenants, payment, and other day-to-day issues. At a certain point, you may even need to hire a property management team which would end up costing a portion of your profits. But if you’re looking for a steady income that is mostly hands-off, Triple-net leases are the way to go. Triple-net leases are used for a variety of properties, such as office, industrial and retail. Under a triple-net lease, the tenant assumes responsibility of the property’s ongoing operating costs in exchange for a long-term lease. In a triple-net lease, or NNN, the tenant is responsible for the insurance, all repairs and maintenance, and any structural components of the building such as the roof. All the operating expenses also fall to the tenant, including taxes and insurance. The tenant also pays the landlord monthly rent. With triple net, unlike with other commercial properties, you don’t have the ambiguity of what will happen when a tenant leaves in a few short years as NNN leases run anywhere from 10 to 20 years, with five-year renewal options. This type of lease can provide long-term, steady streams of income similar to an annuity. Triple-net properties typically have a low tenant turnover rate, which helps reduce marketing and leasing costs. Often, triple-net leases involve prominent anchor tenants, which increases predictability and lowers risk. The majority of NNN lease tenants are nationwide retail companies such as Walgreen’s, Taco Bell, or AutoZone. But it’s important to note that when considering a net lease property that not all national tenants are the same. 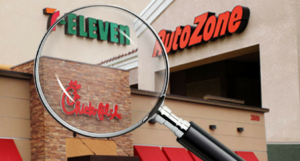 Corporate-backed leases differ from franchise-backed leases; just because a store is well known doesn’t mean the parent corporation will step up to the plate if your tenant fails. Due diligence is key here. Because commercial real estate lenders, whether a bank or a private lender, look at the potential of the property rather than the buyer’s credit and due to the fact that these leases are fairly stable investments, banks may offer better terms, such as lower mortgage rates and down payments, than they give other types of real estate ventures. The lenders see these types of properties as all the benefits of a commercial investment property with few of the risks. Triple-nets are exceptionally liquid, so if at some point an investor decides to sell, they can easily find a buyer. On the flip-slide, properties with triple-net leases are also good for property owners who want to sell existing properties and reinvest in a 1031 like-kind exchange to defer capital gains tax.